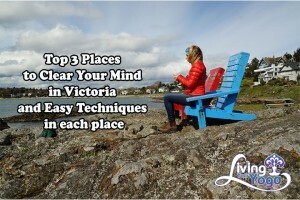 Today I am going to show you my top 3 favourite places to clear my mind in Victoria and some of the best techniques for how to clear your mind in each place. This is a Kundalini Meditation for a negative Mind that will clear your subconscious of unwanted negative and fearful thoughts. When you practice this meditation you will be protected and shielded according to Yogi Bhajan, the creator of this meditation. Sit in easy pose, make a cup of your hands with your right hand resting on top of your left hand facing up. Your fingers will cross over each other at the level of your heart. Relax your elbows. Allow your eyes to look softly down towards your eyes. Inhale a long deep breath into your nose, exhale in a long focused stream through rounded lips, feeling your breath go over your hands. Breathe any negative thoughts and desires that come to your mind out on your exhalation. Continue for 11-31 minutes. To finish, inhale, exhale, draw your navel to your spine. Repeat 3-5 times to finish and relax completely. Alternate Nostril Breathing is known to calm and center your mind. While your mind has a habit of retelling stories from the past or worrying about the future, this breath practice will bring your mind back to the present moment. This breath practice will harmonize the left and right hemispheres of your brain. It is known to reduce stress and anxiety and promote a better overall relationship between your mind and body. Thich Nhat Hanh says that when we practice walking meditation, all of our sorrows drop away. Walking meditation allows us to see that peace is available to us in each step. Thich Nhat Hanh says, to have peace, you begin by walking peacefully. 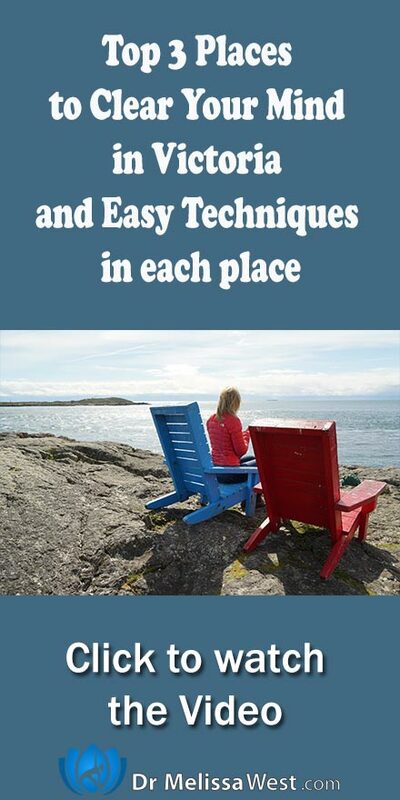 Those are my favourite places and ways to clear my mind in Victoria, what are your favourite places and ways to clear your mind in Victoria. Leave your comments below.